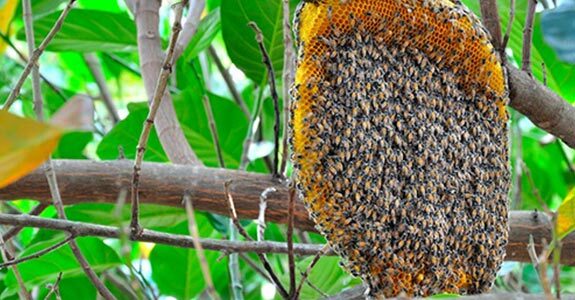 For the very best bee removal in Naples, Florida, think Johnson Bee Removal Services. We’ve been proudly serving Naples for 25 years, and are here for all your bee removal, prevention and repair needs, helping to keep you safe and sound when a pest problem arises. 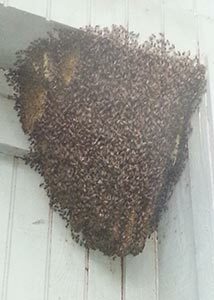 A bee infestation in your home or business is never a situation to overlook! These pests can create hazards for your patrons or family members, ruin the façade of your building or worse, spread allergens and irritants throughout the air, making the infested space dangerous. When a bee problem does arise, it takes a qualified professional to make sure that it’s alleviated quickly. In Naples, FL, that’s Johnson Bee Removal Services. We’re licensed with the great state of Florida as your beekeeper and licensed with Naples as a bee removal expert specialist. We offer expert bee, wasp, and yellow jacket removal. We use safe and excellent products to restore safety to your home or office. We can also provide prevention services and bee damage repair. Our bee removal professionals are knowledgeable and friendly. August 22, 2017 Kristi L.
"Dave Johnson came out to my house the same day I called him with my bee issue. The issue was resolved immediately. He was very professional ..."
"Johnson Bee Removal Services came on time with short notice.He got rid of our bee problem in one hour. He was professional, pleasant and aff..."
"Johnson Bee Removal Services did a very professional job of removing our bee problem. He arrived on time and did his job quickly and efficie..."
"Dave did a terrific job removing our unwanted visitors. He was quite informative on any questions proposed. It was quite clear that this was..."
For the best in bee removal, there is no better name in the business than Johnson Bee Removal Services.